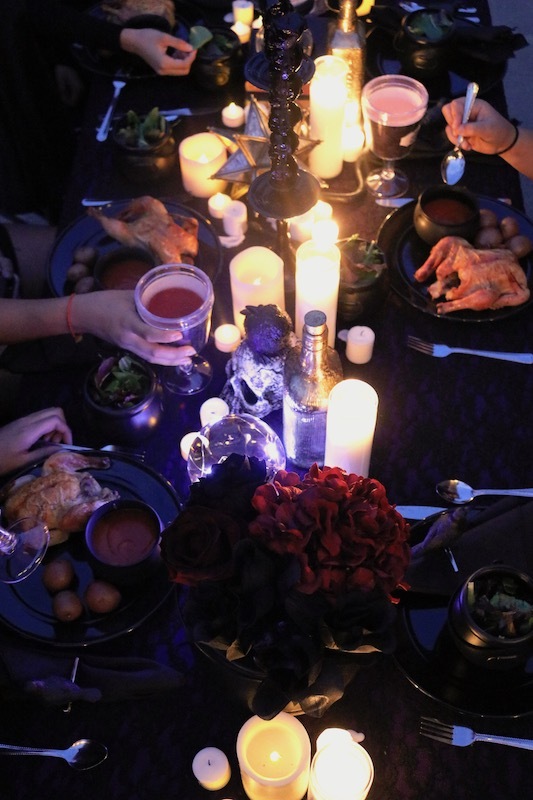 My daughter recently celebrated her birthday with a Wicca inspired party. 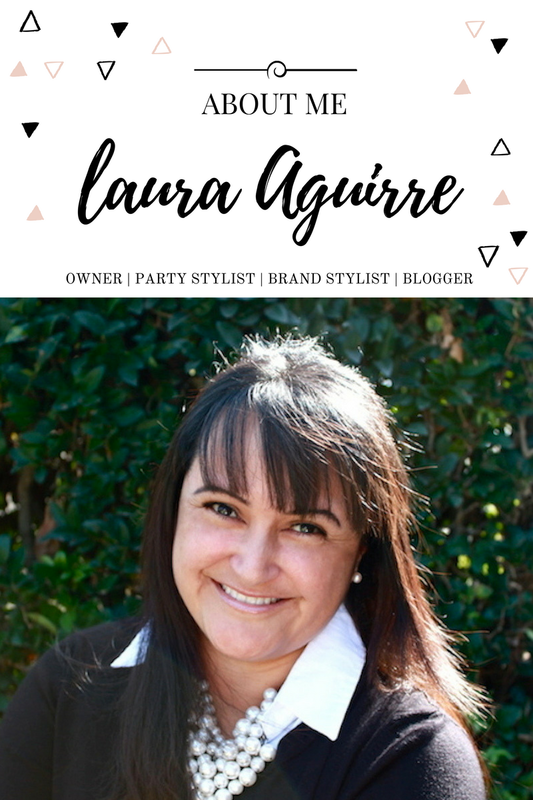 She enjoyed helping me plan her event along with providing her vision, and helping out with lots of neat details! 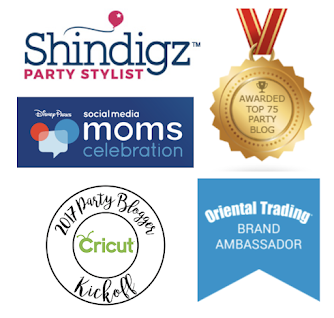 Shindigz had so many fun products that helped bring my daughter's party to life! 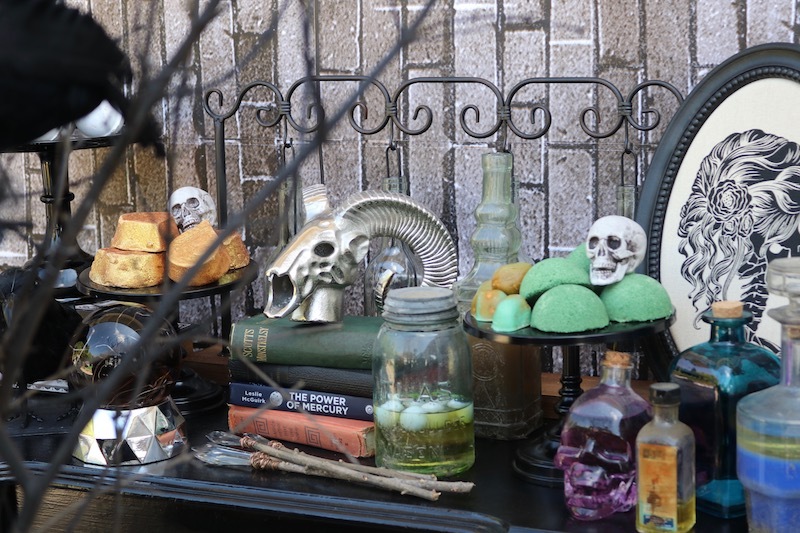 To help create a cold and dark space, we attached brick paper to the walls and brought in spooky furniture and decor. My daughter wanted a dinner party setting and knew the purple table cover and lace table cover would be perfect for just that occasion! 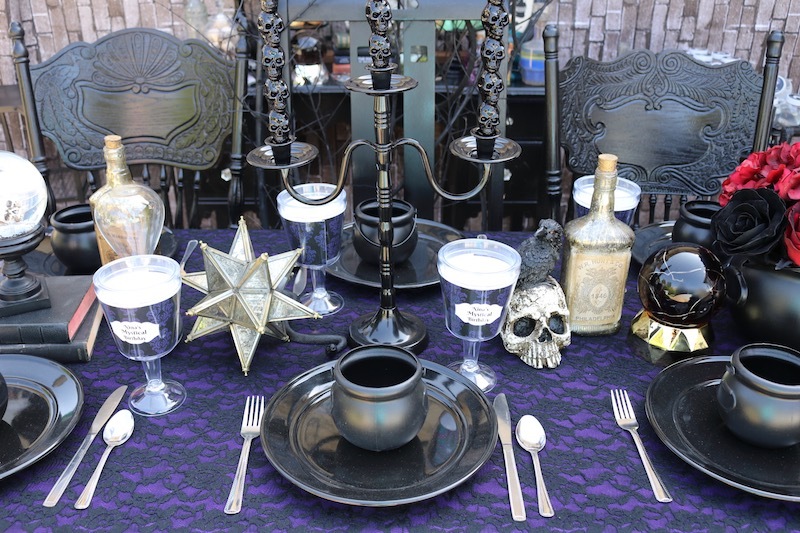 Adding a beautiful metal candelabra and cauldrons really helped set the tone. 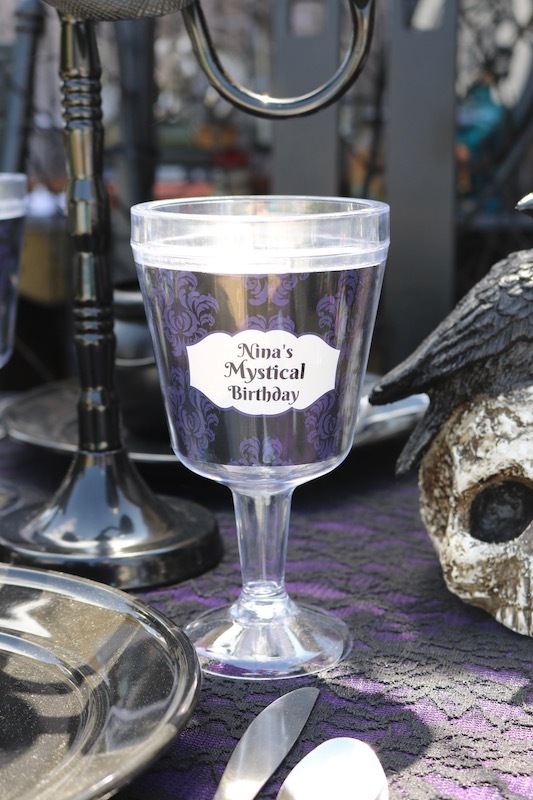 Personalized wine tumblers gave it a special touch and pulled the theme together nicely. 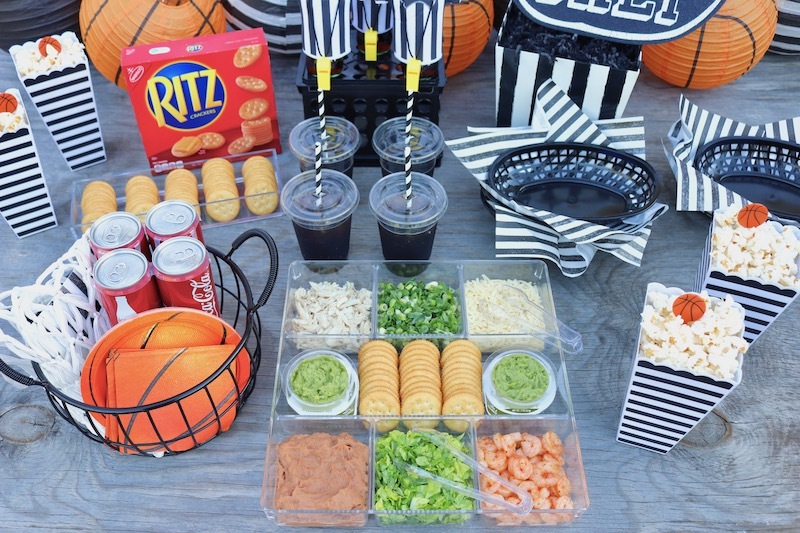 Party activities are a great way to get the guests involved in the festivities! 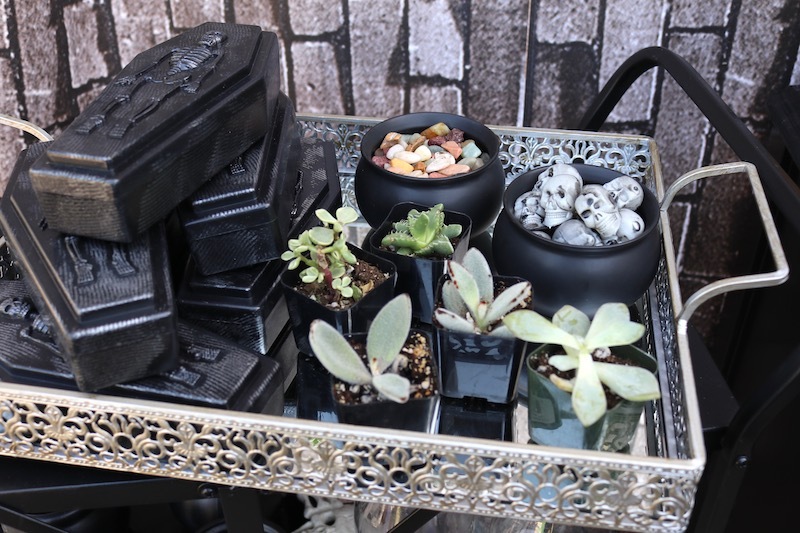 Have each guest create a one-of-a-kind succulent terrarium. Supply the plants, soil and rocks. Everything look so nice as it was gathered on a gorgeous vintage rectangular serving tray, from Amalfi Decor! 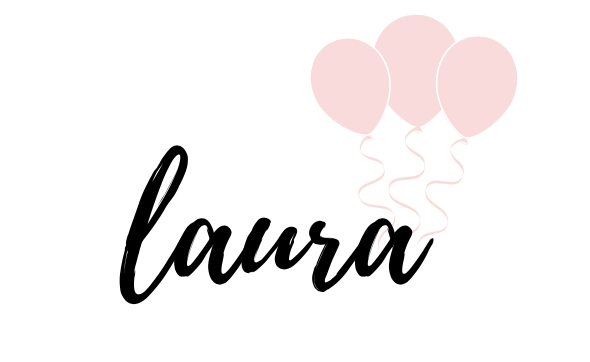 Make your guests feel special by providing some great party favors! 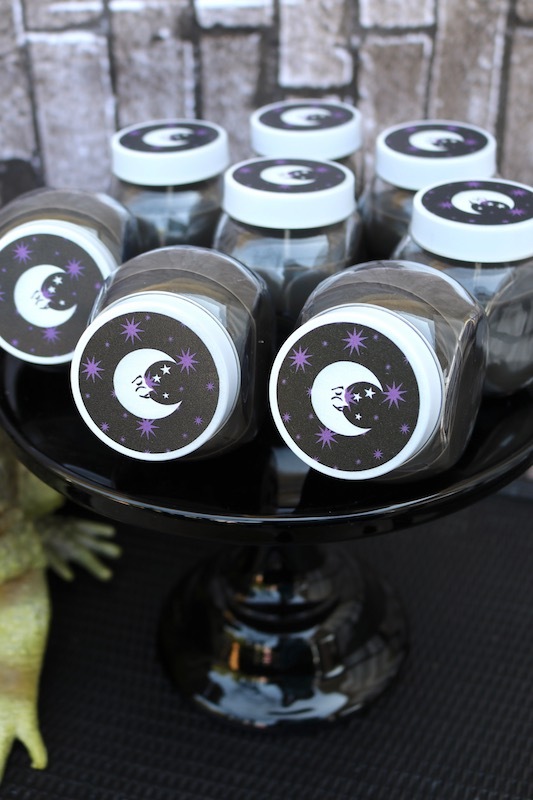 Personalize candles are a nice touch and you can create your own label to coordinate perfectly with your event. 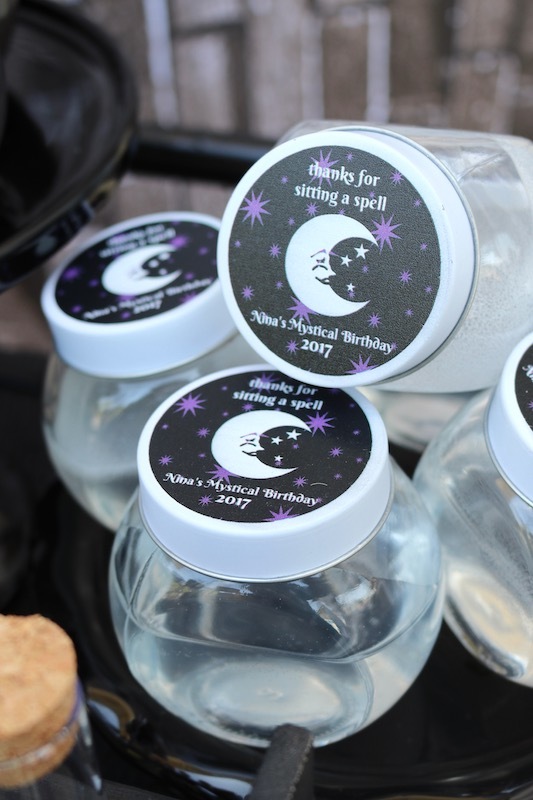 The create-a-jar candle favors were super easy to design! My daughter also whipped up some clear slime for all her guests to enjoy! 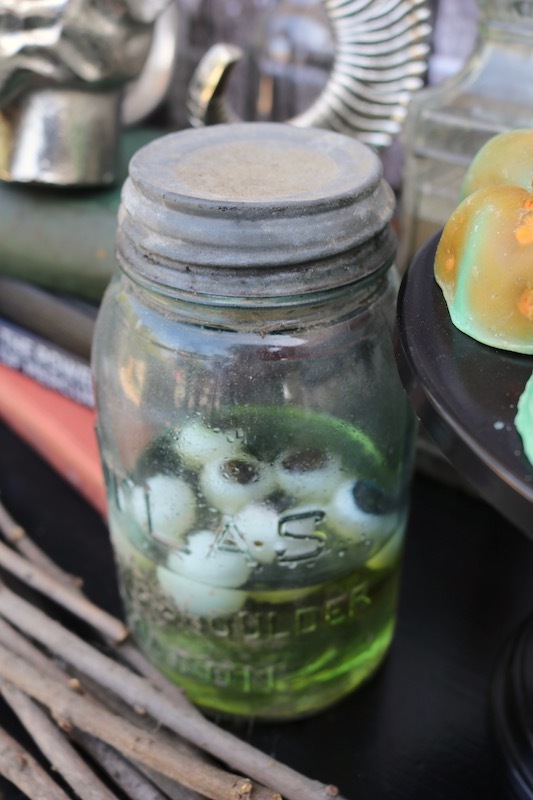 She personalized some create-a-candy jars and filled them with slime - they even provided a great air-tight seal. 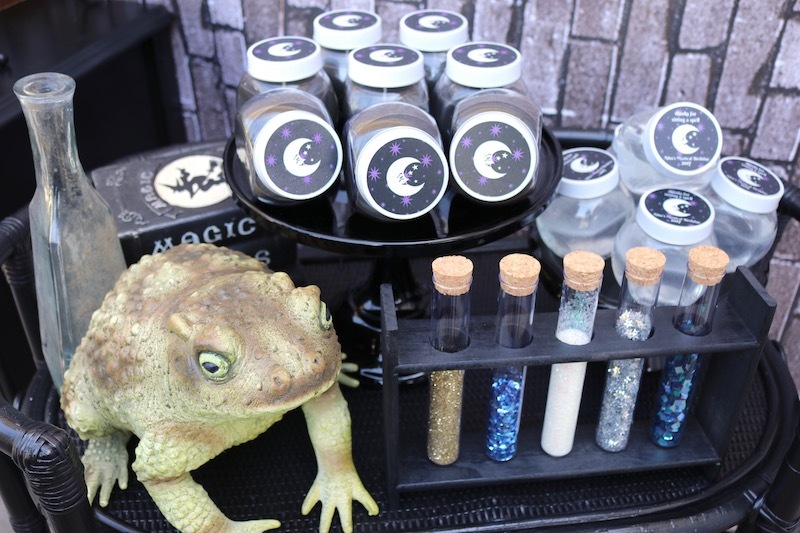 We provided a variety of glitter and displayed it in test tubes. Unique elements for your event are key! Try to think outside of the box when it comes to using every day items. 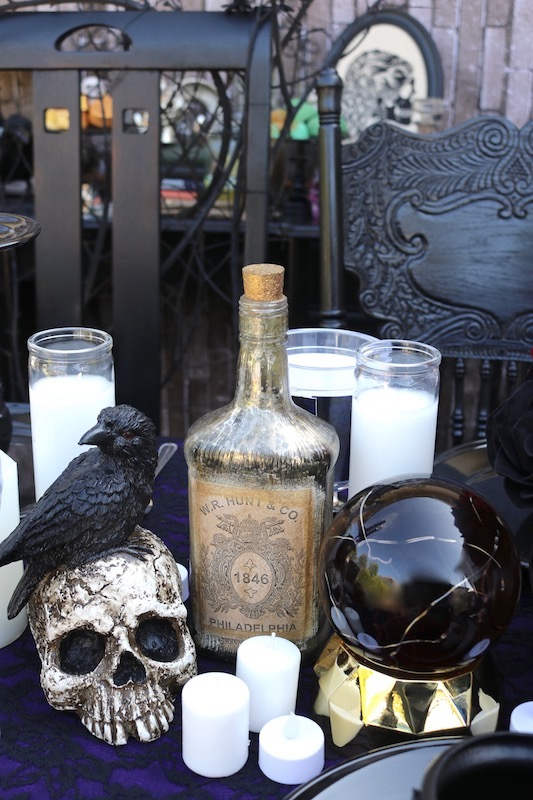 To add more creepy decor to our party table, we took an Apothecary jar set and filled them with mini skulls, and creepy crawlies! 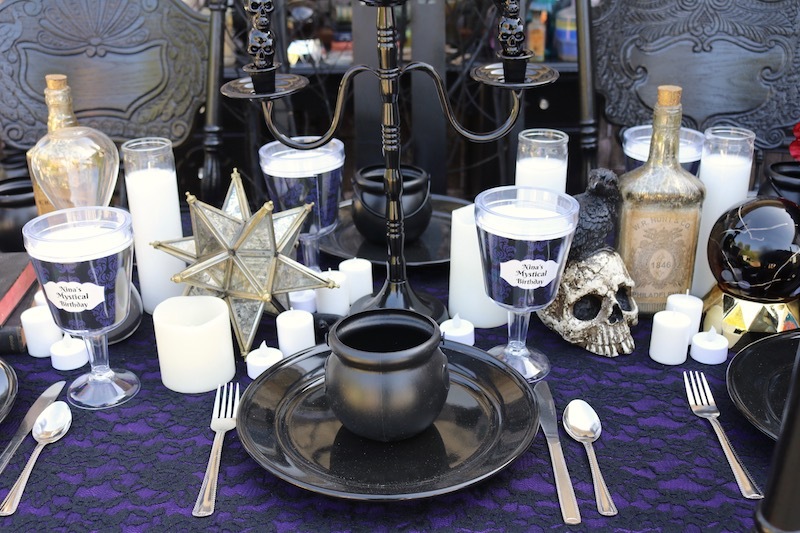 Create a mystical setting by adding whimsical elements and spooky-glam decor on your dinner table! Pillar candles are a great way to set the tone and create some great ambiance at any setting. Add special touches to your seating arrangement by creating a special chair for the guest of honor. I took an old chair with a high back painted it black. 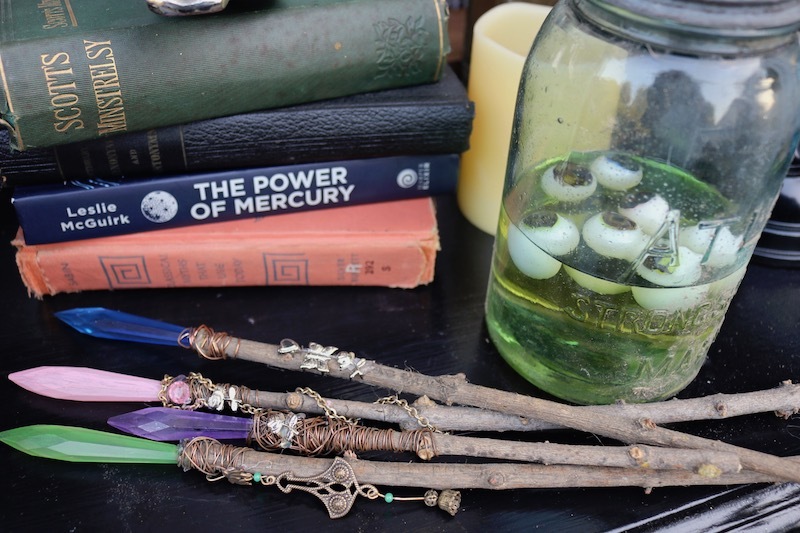 I collected old twigs and branches and attached them to the back of the chair with twine and wire. My daughter loved adding her unique touches to her party and her birthday crown was no exception! She loved designing her own crown of bones. 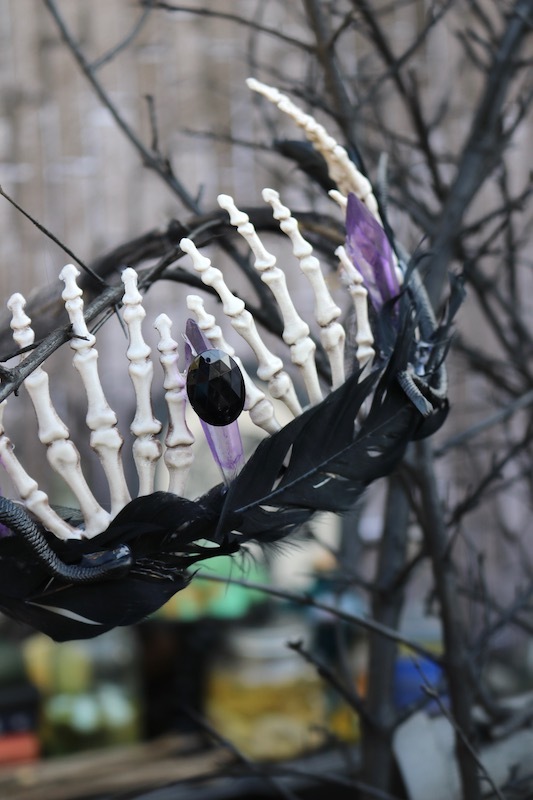 She attached skeleton hands to a band of twigs and hot glued black crafting feathers and jewels. 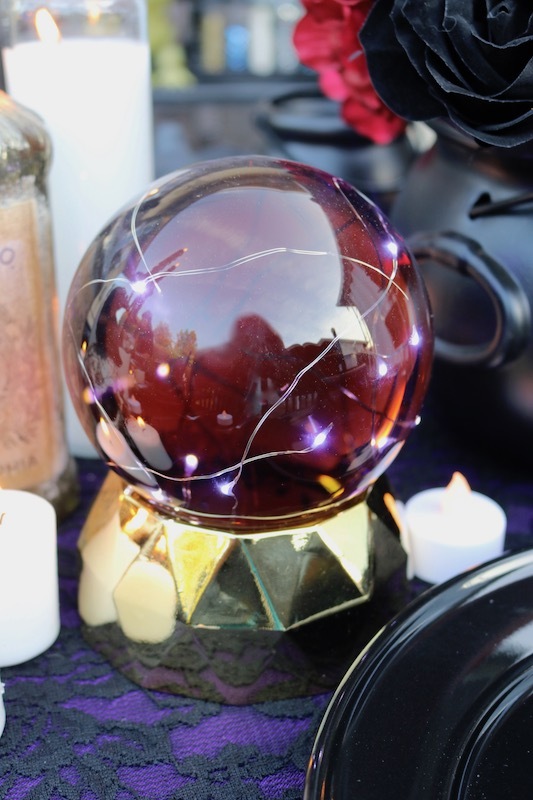 Make your guests feel special by creating a pretty spot for them at the table. 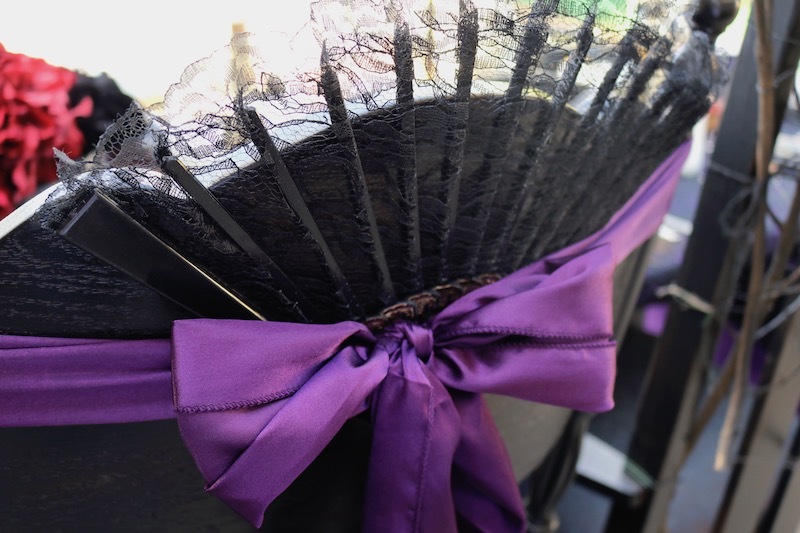 Purple satin chair sashes popped as lace fans added the perfect touch of spooky-glam! 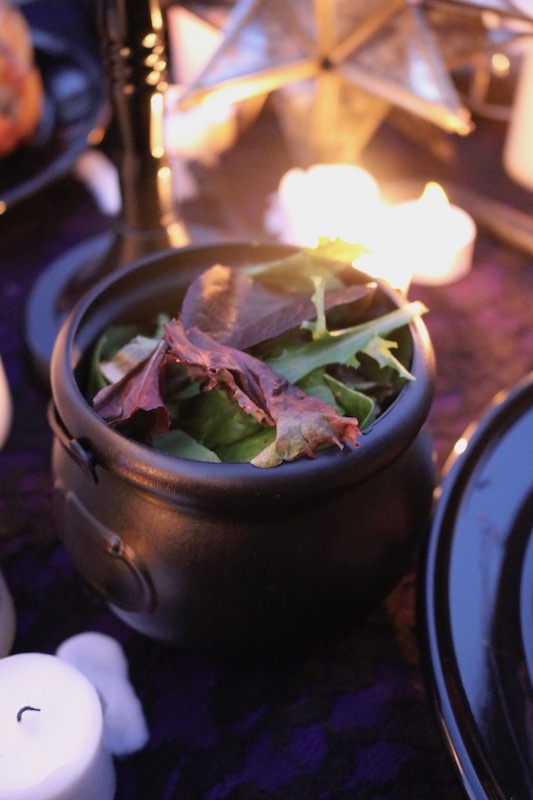 Serve up a bewitching meal by displaying a salad medley inside of cauldrons. 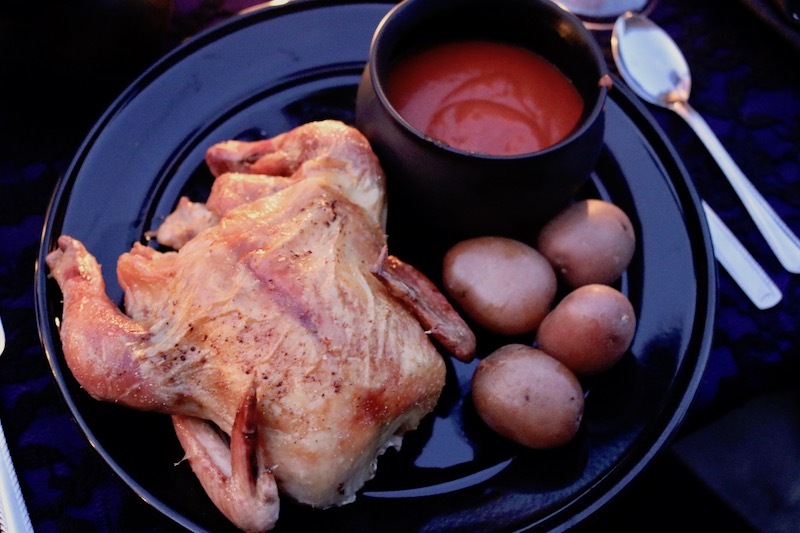 Cornish game hens, red potatoes and dragon's blood soup were also a hit during our mystical themed dinner party! 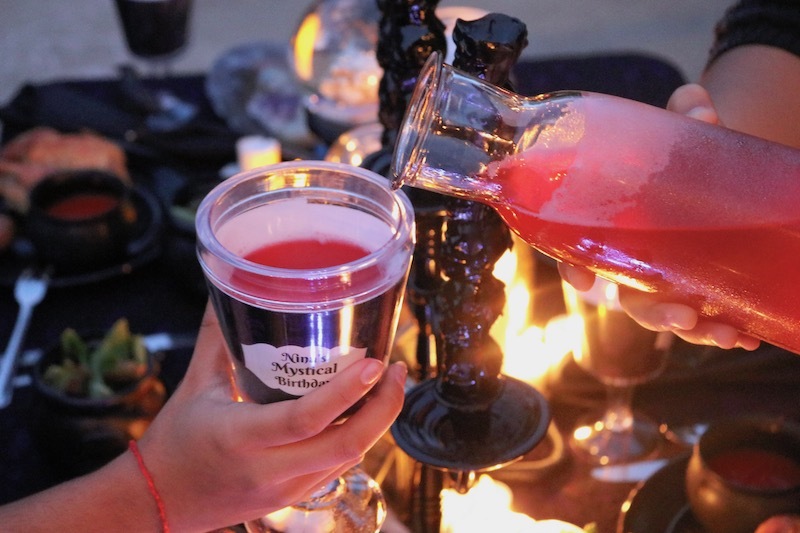 Cheers to planning the perfect event! 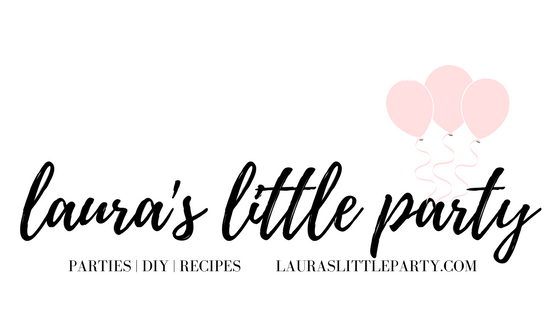 Get creative and add your own unique touches for that perfect party setting!